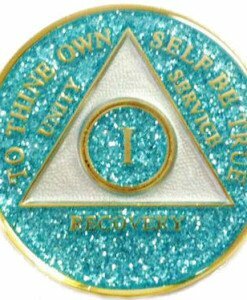 White and Gold tri-plate With Gold glitter in the center. 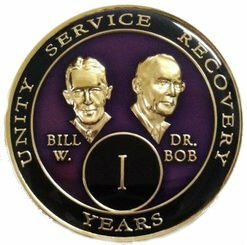 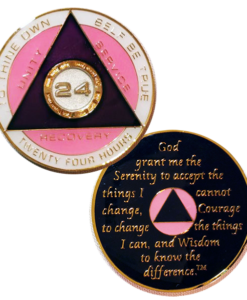 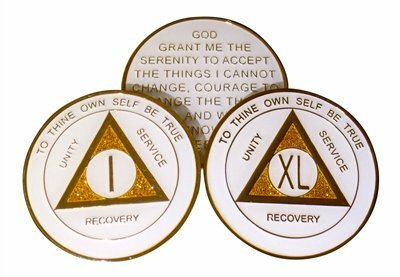 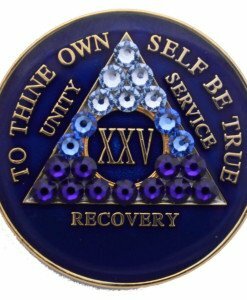 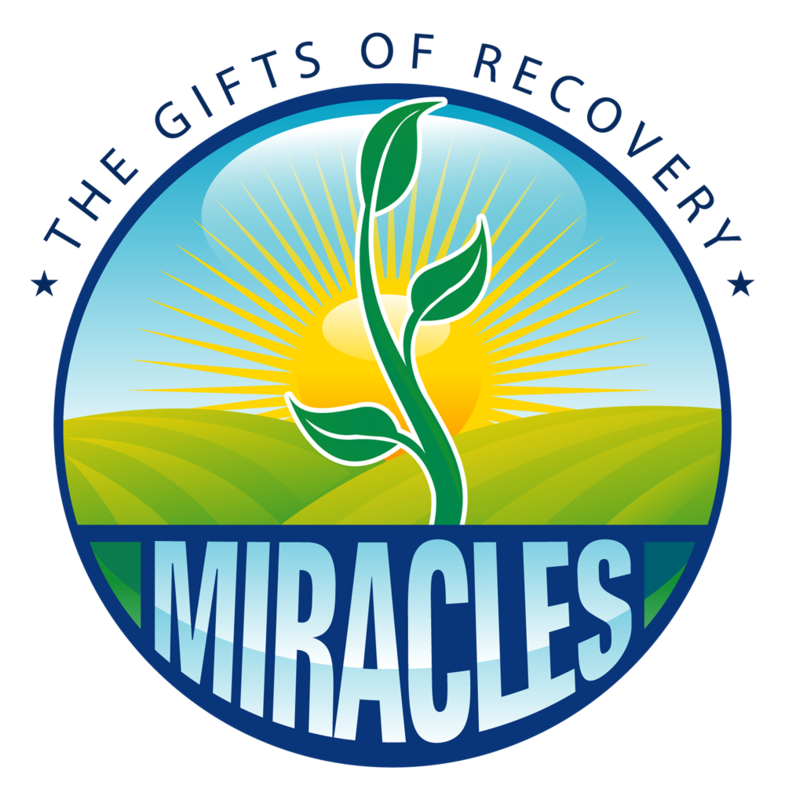 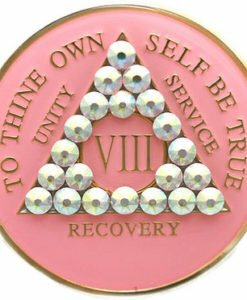 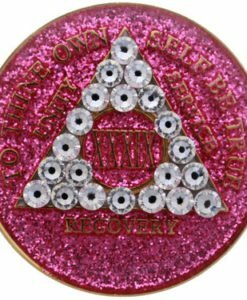 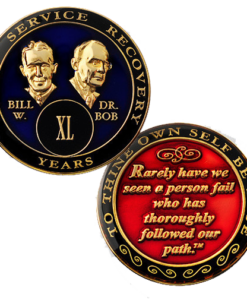 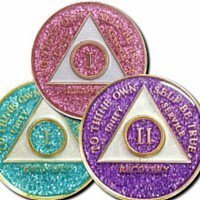 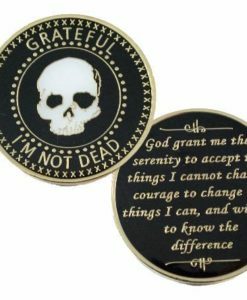 Unity, Service, Recovery and the AA Slogan To Thine Own Self Be True on the front of the coin . 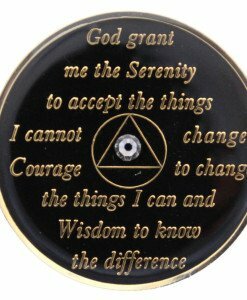 The Serenity Prayer in Gold is inscribed on the back. 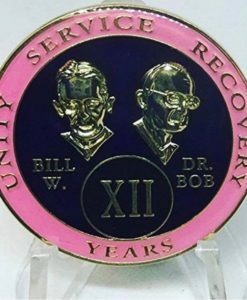 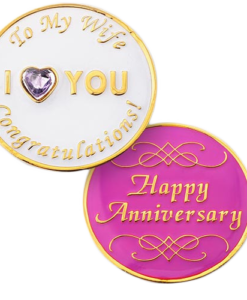 Years 1-45.